Take Jack Hammer with you on the go and play on all your mobile devices. Enjoy this 40s themed game anytime, anywhere, and never miss a win! There are FREE spins, multiplied wins and more! Good luck! 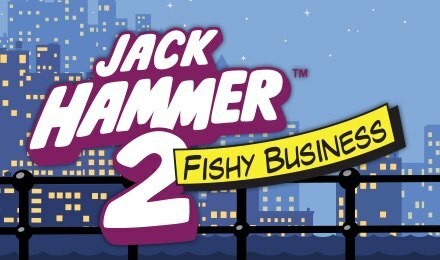 Jack Hammer is back, and he's fighting crime so you can win your fortune! The Electric Eel is your Scatter, which will trigger your FREE spins. The more you spin, the more free spins you'll get. There are 20 up for grabs, and all your winning combinations will be doubled during this round. There's also an exclusive Sticky Wins feature, which appears every time you spin a win. All the wining symbols will freeze (or stick) as the rest of the reels continue to spin. The reels will keep sticking the more you win for loads of chances to win!